You are invited to become a member of the Edison High School Foundation for the 2017-2018 school year! Prefer to download the form and write a check? CLICK HERE to download a copy of the membership form and along with your membership, please feel free to order a yourself an Alumni Brick! They are cool! 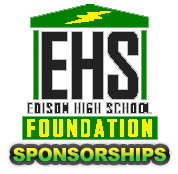 The purpose of the Edison High School Foundation is to raise funds for programs and services which promote educational excellence for the students of Edison High School through active partnerships with students, teachers, staff, parents, alumni and the community. Our goal is to support and inspire students at all educational levels by providing the tools they need to succeed in the global community. Member support in these challenging economic times is critical because our schools will be getting less funding and will be relying on us to help continue the outstanding programs and services currently offered. NOTE: Items for membership will be given out at Edison registration in August.